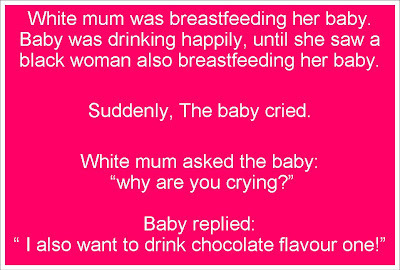 Mum sent me this joke yesterday. For those who dont understand chinese, i've translated it into english :) However, i think the chinese one sounds cuter. haha. not meant to sound racist. purely just a joke.